Sometimes the plain-Jane Finescale Trigger, Balistes polylepis Steindachner 1876, comes into the trade out of the tropical eastern Pacific, but it is ugly and grows to two feet. An adult down in the Galapagos. The Clown Trigger, Balistoides conspicillum (Bloch & Schneider 1801), grows to sixteen or so inches. 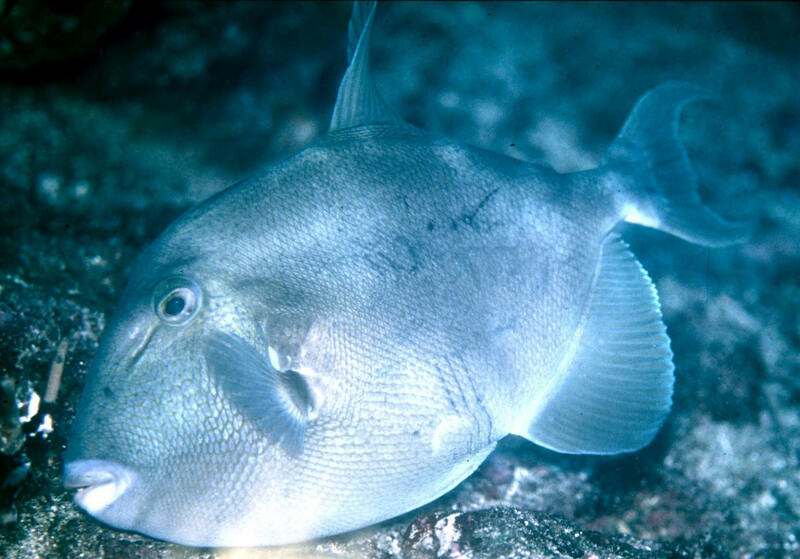 A maximum size individual in Fiji shown. Get one small, and feed it sparingly... and keep your eye on it and your other livestock... this is an Alpha Alpha species that typically takes over a system of any size... and woe be to the tankmates that don't get and stay out of its way. The Clown Trigger, Balistoides conspicillum (Bloch & Schneider 1801), grows to sixteen or so inches. 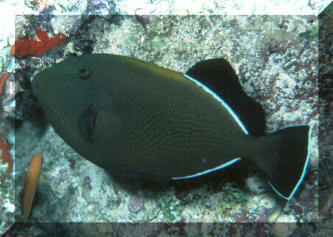 A mid size (8") one in Wakatobi, S. Sulawesi, Indo. 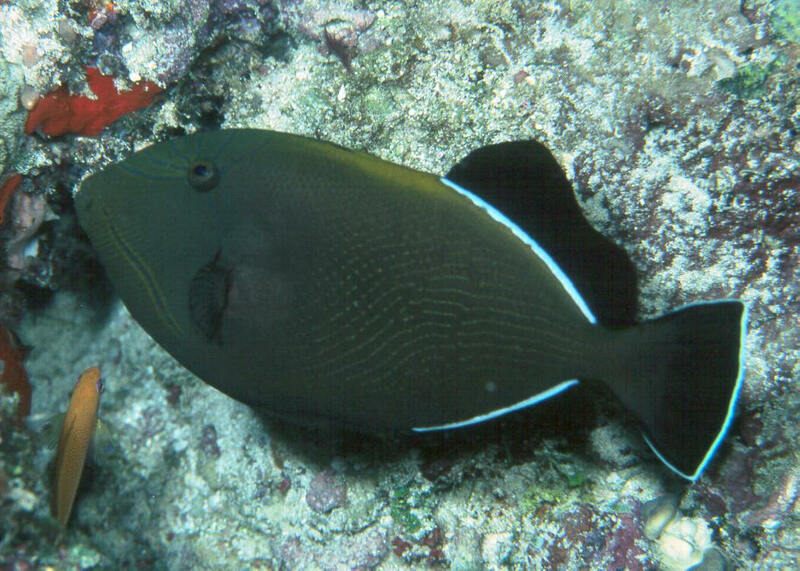 Melichthys indicus (Randall & Klausewitz 1973), the Indian Triggerfish. Indian Ocean, Red Sea including east African coast. To ten inches in length. 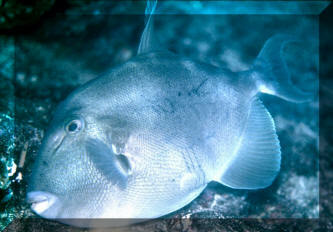 A good fish-only aquarium species. This one in the Maldives.